You weaved your way through a thick crowd on your wobbly legs, approached the giant speaker with both hands, grabbed on, and found your groove. Live music everyday this week. You are such an Austinite. Joining Jodi on the 52 photo project. Little live music lovers... be still my heart! for real. i'm more in love than ever before. Love that! I love how babies just dance and go with the music. So beautifully simple! one of my very favorite things about babies - they just know how to dance! thank you!! he is one cool dude. So cute! 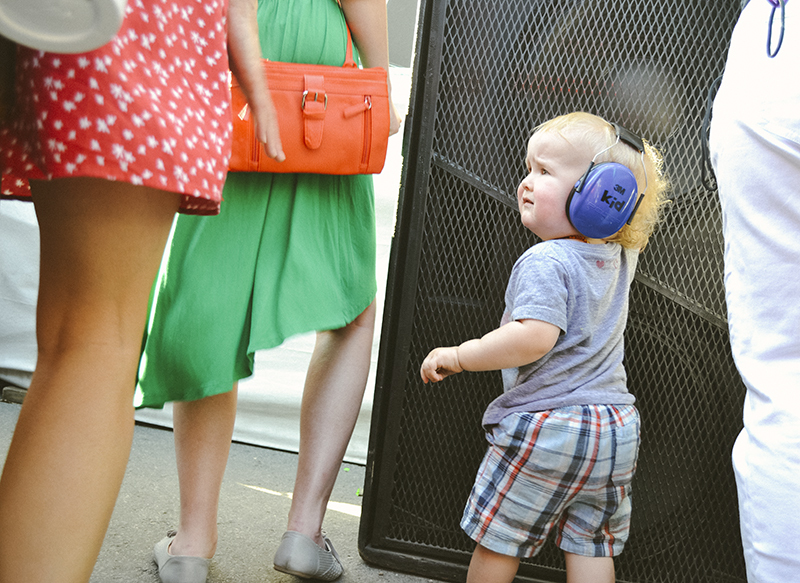 Nothing was going to stop him from feeling the bass. This photo is by far my favorite of the day. I LOVE IT. Best capture! Such a great moment in time and his face is so sweet. You only think he is listening to the music. He is checking out those ladies, mama. Is it SXSW right now? If that is the case, have FUN!! hehe! i thought the same! sxsw ended yesterday - we had so much fun! Aww, so cute! Love the expression, and the colours are great in this shot. ohh he is just divine. What a cutie! There is so much joy in music!! ACK!! Oh my gosh! HE IS SO CUTE! How do you DEAL with this??!?! I bet everyone was just SMITTEN with him!! You are so so blessed! I just love him! thank you! i feel incredibly blessed.